Colour has the ability to impact the appearance of your home, which is why it’s important to choose a stain colour that complements the age of the wood, grain, and texture. We’ve worked hard to bring you wood stains and finishes products that will protect and enhance the natural beauty of all types of wood. We offer a variety of colours in different levels of transparency so that you can achieve the results you envision. A translucent finish lets the beauty of wood grain shine through. 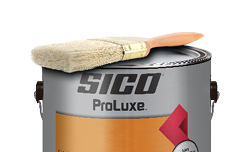 A solid stain provides uniform colour and finish as well as maximum protection from the elements.